I hope you had a great break, full of whatever you needed it to be full of! We ate and drank lots – of course – and I made my first Christmas cake ever. I used avocado instead of butter, something I have heard is possible. I nervously put the cake in the oven, it was bright green, but it was perfect! Once cooked it looked and tasted exactly the same as a cake made with butter. My super informed sister tells me you can do this with any cake – use the same weight of avocado as you would butter, and the avocado must be fully ripe. So, there you go, every day a school day! 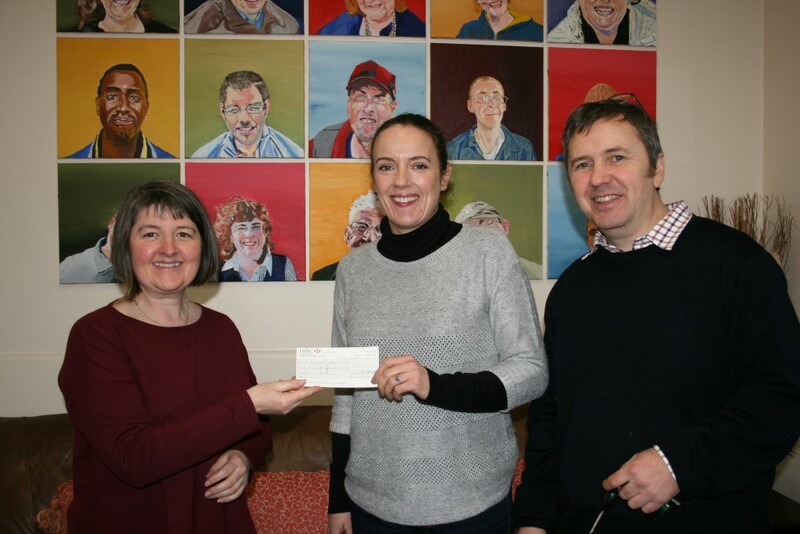 This week we took £300 to the good people at St Wildred’s Centre. We have fund-raised for them before, this year they plan to open a residential centre. In case you don’t know, St Wilfred’s is a day centre open to all homeless, vulnerable and socially excluded adults, they have long held a dream to open a residential centre, and this year they are going to realise this dream. We were really delighted to give 10% of profits from our Christmas range – Christmas burritos, salsa sets, cook books etc – so a huge THANK YOU to all of you for coming supporting this great local charity. We have some exciting plans for this year, which includes opening a new shop in Sheffield – more on that later – in the meantime I hope you are looking forward to a peaceful and burrito filled year.